Toppie and the gang settles back into some kind of routine with Walter Snicker-Snicker who has returned to Pickle Hallow. Meanwhile, Toppie gives an update on his parental units, and reads some mail from listeners of the Smellcast. Finally, and unexpectedly, Toppie’s new neighbor, Dallas Cody stops by with some misplaced mail. LEFT click HERE to LISTEN to episode 317 on your computer NOW. RIGHT click HERE to Direct Download episode 317.
sc 299 That’s A Big One! Sassy and Billy join Toppie for a holiday Christmas Tree decorating party, in which Toppie opens Chrimmah cards and tries to make the season bright. Toppie reminds listeners about the Pride 48 Hydrogen Holiday Show going on over at the Pride 48 on December 23. 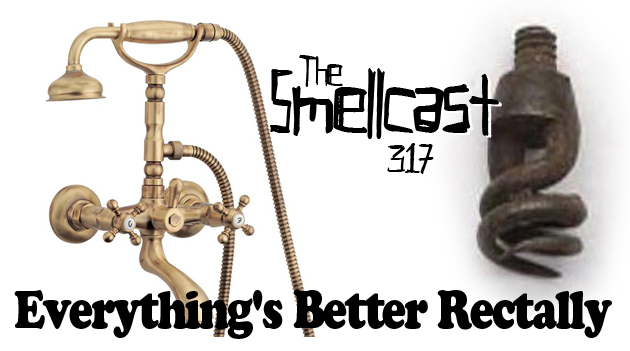 The Smellcast will have a special half hour Chrimma Show you can catch live in a mix of live podcasts and pre-recorded podcasts. Special time instructions to follow. Also, please be aware of the Chrimma Karaoke show going on over at Pride 48 on December 22. at 7:00 pm Eastern time over there at Pokin’ It With A Stick, with Gavin and Jim! Meanwhile, Sassy continues to deal with his ordeal in France. Finally, Toppie opens Chrimmah Greeting cards from listeners of the Smellcast. All this and Kathy Bacon too! LEFT click HERE to LISTEN to episode 299 on your computer NOW. RIGHT click HERE to Direct Download episode 299.
sc 298 Much Ado About Sassy. Toppie welcomes the Christmas season to the Smellcast, with some readings from greeting cards sent in by listeners. Toppie then gives you an update on how his parental units are coping with the Christmas season, and talks about his own wishy-washy feelings about the holiday. Then come the phone calls. Yes. Phone calls from unhappy listeners. Listeners who are, it appears, overly sentimental about Sassy, and who are not happy about the last episode of the Smellcast. Eventually Toppie finally connects with Aunt Tappie, who hips him as to what’s really going on. 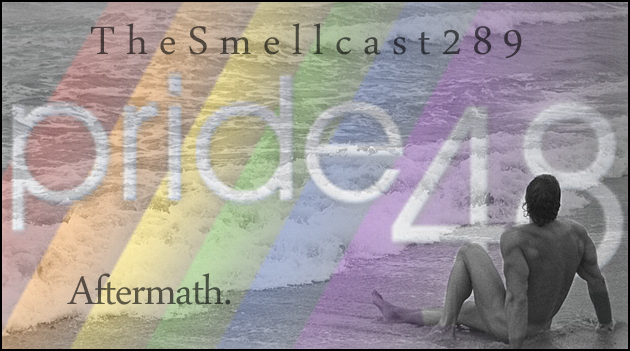 And that’s how we find ourselves by the end of the episode… with the return of Sassy to the Smellcast. Toppie hopes you are all happy now. Meanwhile, Toppie alerts you to his guest spot on ScreamQueenz.. . the podcast where horror gets bent! Host Patrick allows Toppie a full 45 minutes to blab on and on about his beloved old TV soap, Dark Shadows. LEFT click HERE to LISTEN to episode 298 on your computer NOW. RIGHT click HERE to Direct Download episode 298. Toppie, Aunt Tappie, Billy and Cricket gather to discuss Toppie’s Pride48 weekend experience. Also, Toppie posits two serious questions: Does Toppie have an accent? Does he sound gay? Details on the podcast. Respond via e-mail or record a voice-mail and attach it to an e-mail and send it to Toppie at smellcast@aol.com. LEFT click HERE to LISTEN to episode 289 on your computer NOW. RIGHT click HERE to Direct Download episode 289.